In comparison to many other counties across England, Devon is one of the most sparsely populated areas in the UK. Predominantly rural with rolling hills gracing a majority of its land, Devonshire (as it was historically known) is most popular for Dartmoor and its quiet seaside villages and towns. 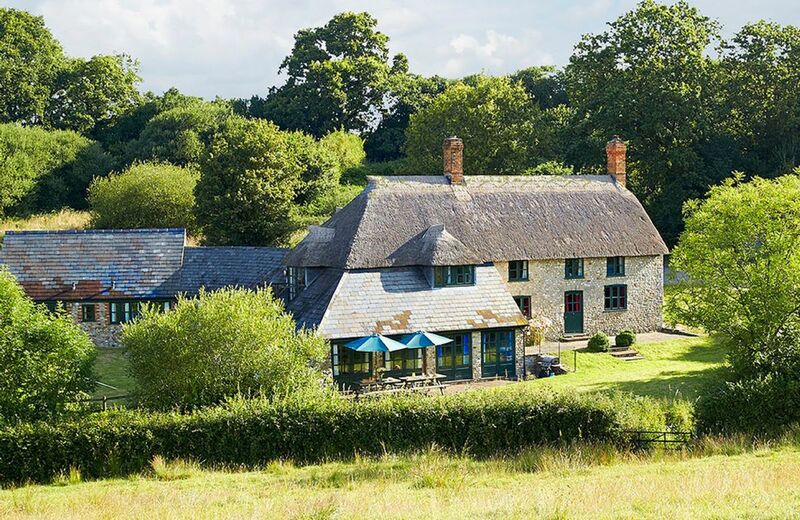 Due to its naturally quiet atmosphere and mild climate, Devon is one of the most idyllic settings for a cottage holiday giving you that much needed rural escape away from the noise of urban areas. Couple that with the popular local food, drink and the clean fresh air, you're definitely going to have the most relaxing holiday wherever in the county you stay! Of course any visit to Devon wouldn’t be complete without seeing the incredible sites that is Dartmoor National Park. Over 360 square miles of moorland littered with rocky outcrops called Tors which are all reachable (although the climbs to them vary considerably in their difficulty!) alongside some stunning attractions along the way including pubs, cafes and historic sites. One of the more popular destinations is Badger’s Holt at Dartmeet which is worth a visit. You can enjoy some rock-hopping on the huge boulders in the shallow river and end the day with one of the best cream teas in the county (according to us anyway!). Even better, purchase some homemade scones to take back with you to enjoy in the evening at your holiday cottage. Pick any of our self-catering holiday cottages and you’ll not be far away from any of the action. There’s also Kent’s Caverns which takes you on a cave exploration to see evidence of Devon's ancestors dating back 30-40,000 years. Guided tours and a fascinating walk around the expansive caverns makes a wonderful day out, especially for children for whom it will be both educational and a thrill! If scenery is your thing Cheddar Gorge is also a fantastic destination. A stone’s throw away in neighbouring Somerset, the gorges are breath taking and unlike anything else you’ll see in terms of scenery in the south of England. Exeter, Torquay and Exmouth are also towns to take a look around. You'll find a great selection of shops, restaurants and bars and you can pay a visit to the National Aquarium at Plymouth. Whatever you choose to do you’ll find your stay an incredibly enjoyable one. 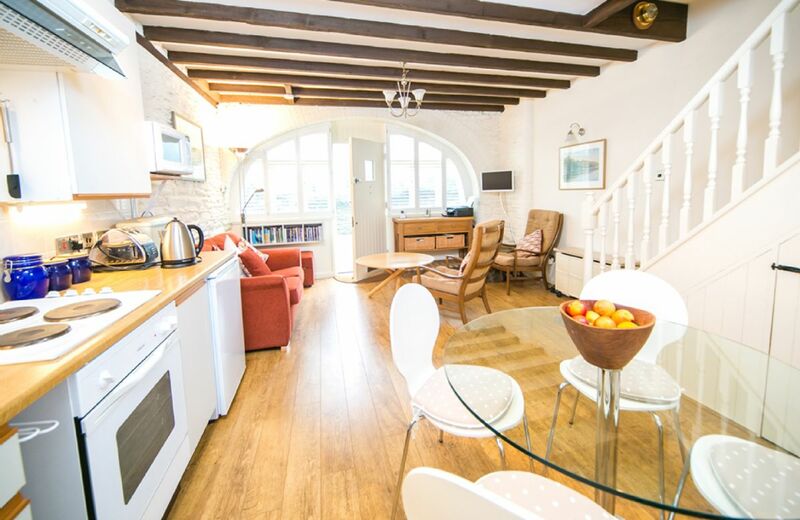 Now you can choose a relaxing hand-picked self-catering holiday cottage in Devon to act as your home for the stay and relax in the evenings after a busy day out seeing the sites! Your search returned 16 matching properties. 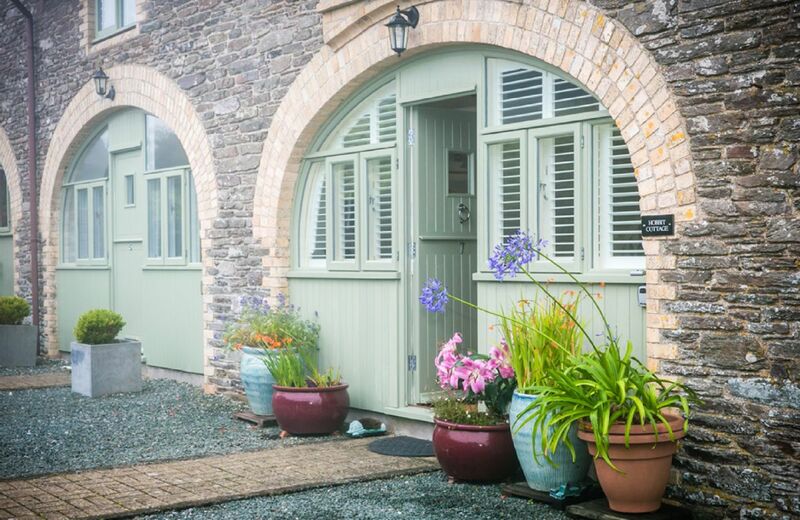 Situated half a mile from the delightful estuary village of Noss Mayo and set in tranquil gardens with secluded seating areas and a tennis court, Hobbit Cottage is part of a Grade II listed conversion of farm buildings. The village amenities include two pubs and a magnificent Church overlooking the creek. Excellent quality accommodation well equipped to a high specification in a private and quiet position. Ideal for chilling and relaxing with a panoramic view to unwind and enjoy the tranquility of its rural position. Beautiful, luxurious, very comfortable accommodation with lots of thoughtful little extras. 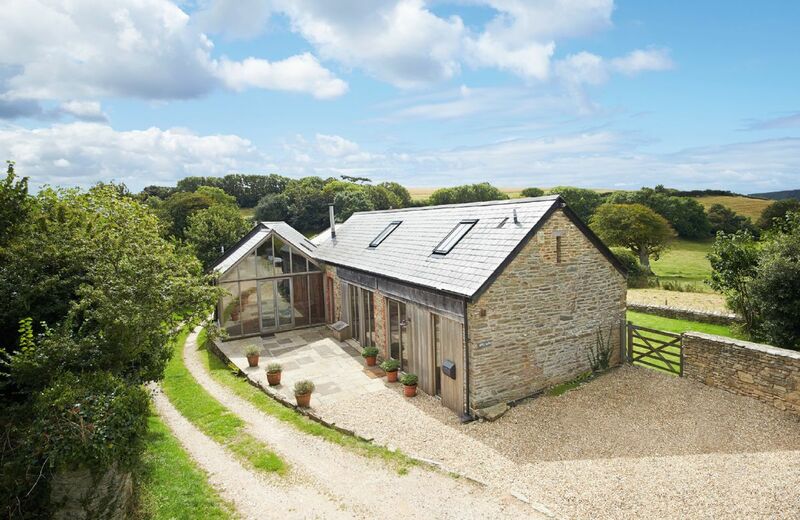 Lovely rural location but only a short drive to the Jurassic coast. The owners live on site and were lovely and very helpful but the apartment itself is really private and peaceful. Perfect for a romantic or relaxing break. Everything was superb : the studio (very cosy and comfortable), the landscape (glorious Devon), the owners (Ruth and Geoff, so friendly), the welcome hamper and homemade brownies... We recommand this Retreat to everyone ! Absolutely lovely. Such attention to detail. It is a studio apartment but they really have made the best use of space. The welcome hamper was much appreciated. We spent a lot of time on the balcony and terrace just relaxing with wonderful views and watching so many different species of birds. Wonderful hosts who were so friendly and helpful. We would thoroughly recommend this Artist's Studio. What a great recommendation. Very many thanks. 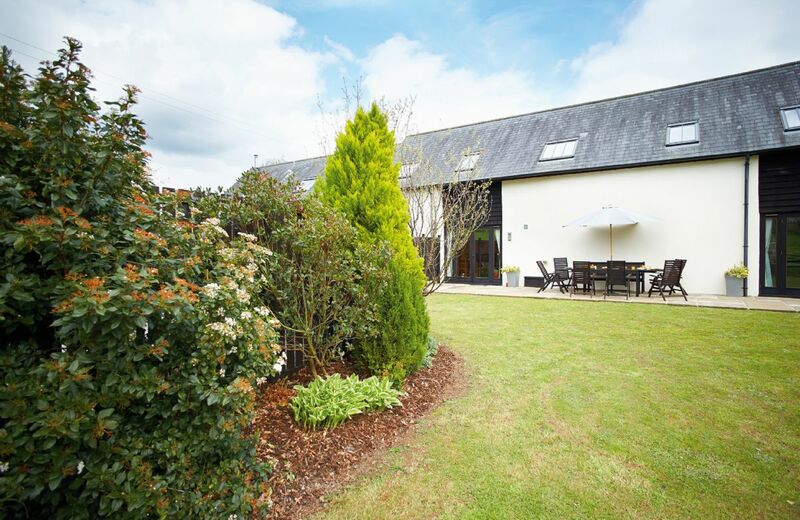 Accommodation was exceptional absolutely faultless would definitely recommend this property. A lovely studio with great views .We really enjoyed our stay. Delightful location, private with beautiful views. Extremely high standard accommodation, fantastic attention to detail. Best holiday accommodation we've ever had. The location was lovely, quiet and very secluded. The thought and care that has been given to the property could be seen throughout. The studio was immaculate and the little touches made us feel most welcome. Perfect! A beautiful studio in a stunning location. The studio is perfectly decorated and is very luxurious. Only thing is there is limited hot water, so expect quick showers and a bath 1/4 full. If there was more hot water then it would have been 5 stars. Thank you for your feedback and lovely words about The Artist’s Studio. I am so sorry about the hot water. After investigation it was discovered that the timer had failed and this has now been replaced. 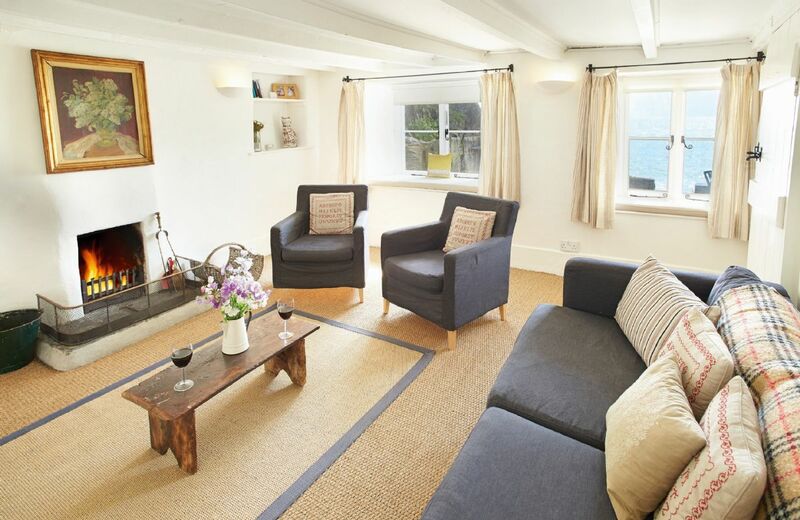 A lovely peaceful retreat, so well equipped, cosy and relaxing. Brilliant!! Excellent cleanliness and facilities. The rating should be 5 Star +++. I highly recommend it. Beautiful studio, very well thought out, with great attention to detail. Perfect for a long weekend or a week. Amazing location and very private. The owners were on hand if needed but not intrusive. We would definitely stay there again. The Artist's Studio continues to have wonderful feedback. Thank you so much for leaving yours. Excellent and to a very high standard. We personally do not like having the kitchen within the same room as the bedroom but this is a matter of taste and was made clear in the brochure. We would have liked some local comestibles in the food hamper! Fabulous location for views, walks in the woods and getting away from it all. The Studio is very well equipped and thought through, with lovely touches and artistic design. A real pleasure to stay there. Fabulously decorated place with everything you could need and Ruth and Geoff were really helpful and friendly. So peaceful. An amazing place - bright, clean, well laid out, great facilities and a lovely couple running it. However, don't expect to walk to the local pub as it's way off the beaten track. Thank yo so much for your lovely feedback. A beautiful place at "the end of the world"! A wonderful cottage, well equiped, a great welcome hamper and very kind and helpful owners. A lovely cottage and garden and a lot of privacy! The Artist's Studio, providing ground floor studio accommodation, sits on a hillside surrounded by fields and woodland in a designated Area of Outstanding Natural Beauty at the end of a rural lane. Panoramic windows and the south facing balcony give uninterrupted views across the beautiful valley. The location is superb for visiting the local area with Honiton a 15-minute drive and the seaside villages of Branscombe and Beer easily reached in 20 minutes. The washing machine has been removed. Some of the character of the cottage has been damaged by insensitive furnishing. I am so sorry that the refurbishment at Warden is not to your taste - unfortunately there is no space for a washing machine. Excellent setting with excellent provision in the cottage. It was cosy very clean and comfortable. Lisa was helpful and friendly and very obliging. This failed to live up to Rural Retreats impeccable standards for a number of reasons which have already been reported to them. wonderful place with great views. Accommodation excellent and the sun shone. Wir waren ca. 8 oder 9 mal in dieser Unterkunft, es hat uns jedesmal sehr gut gefallen, nur schade ist, das es keine Waschmaschine mehr gibt und es sollten auf jeden Fall wieder Möbel für den Außenbereich zur Verfügung stehen. Schön wäre auch noch ein kleiner Sessel am Fenster im Wohnzimmer. Cosy and extremely comfortable cottage - loved staying there over the Easter weekend, but would have happily stayed longer. The welcome hamper was fantastic and very much appreciated - with Easter treats too. Great location for coastal walks and some quaint villages nearby - would definitely return. We thought the whole place was very well appointed, and we really enjoyed our stay. We've not given it 5 stars, for the following reasons but these are quite minor. I would have found it helpful to have a non-slip rubber bath mat in the bath. The toilet seat seemed slightly loose. There were no facilities for washing or drying wet clothes. Otherwise, everything seemed to have been thought out very well. Thank you! The cottage was so fresh and clean what a pleasant surprise. The quiet location was amazing. Would really recommend to others and would definately stay there again. Every review to date echoes my very pleasant stay. Thank you for a brilliant short break. We stayed during the 1st week of January, outside was freezing and stormy but inside warm and cosy! Thank you for the wonderful hamper of treats, and a peaceful and much needed week away from it all in Warden cottage where we spent 3 days during our Devon wedding a few years ago. Warden usually has lovely reviews and we are so sorry that it wasn't the property for you. Would have been five stars but felt uncomfortable walking past other cottages to reach ours. Parking not clear. We're sorry to hear that you felt uncomfortable accessing the cottage via the shared pathway. We're glad that overall you enjoyed your holiday. Grandioos huis, Grandioze plek! Prima service! Heerlijke week gehad in een mooi, schoon, volledige cottage op een bijzondere plek aan zee. Ik zou RR zeker aanraden bij vrienden. Bedankt voor uw geweldige feedback. What more can you say - from your window you can see the coast of England &a Wales and isle of Lundy on the horizon. A lovely comprehensive review, thank you very much. 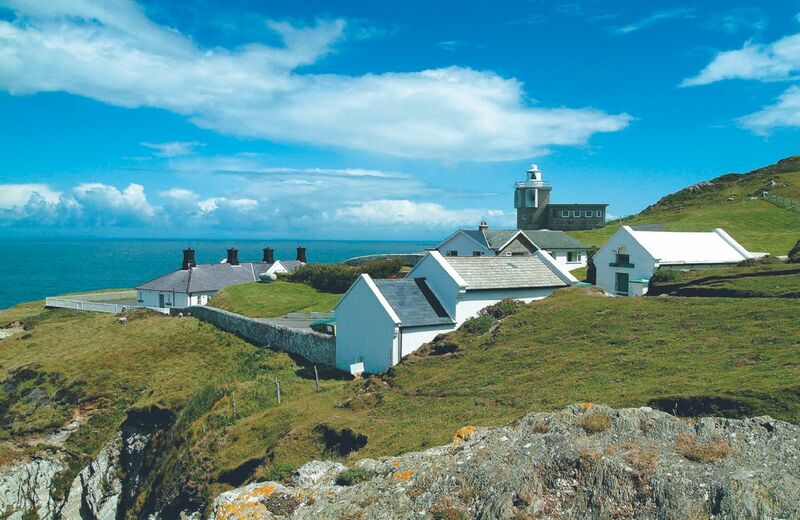 This cottage is part of the Bull Point Lighthouse site, just outside the pretty village of Mortehoe in North Devon. The property features entrance hall, dining room, sitting room, kitchen, double bedroom and bathroom. Fabulous setting but the barn internally needs a lot of tlc and a deep clean. Disappointing considering how expensive it still is in February. Response from Owner.We constantly strive to keep Apple Barn to a high standard and made a particular effort to ensure that this, your third stay at Apple Barn, would meet your expectations. Although your review is disappointing we take comfort from the fact that you returned a third time to enjoy Apple Barn and that the issues you raised were minor cleaning issues which we can easily address. Its a shame you didn’t raise your concerns with the housekeeper on arrival when she asked you as she would have rectified them immediately. You did tell her then that everything was fine and you were very happy. cottage comfortable and warm once heating was sorted out. Damp smell in downstairs bedroom,bathroom and upstairs toilet a little concerning. Housekeeper very pleasant and helpful. Beautiful views and walks from doorstep. 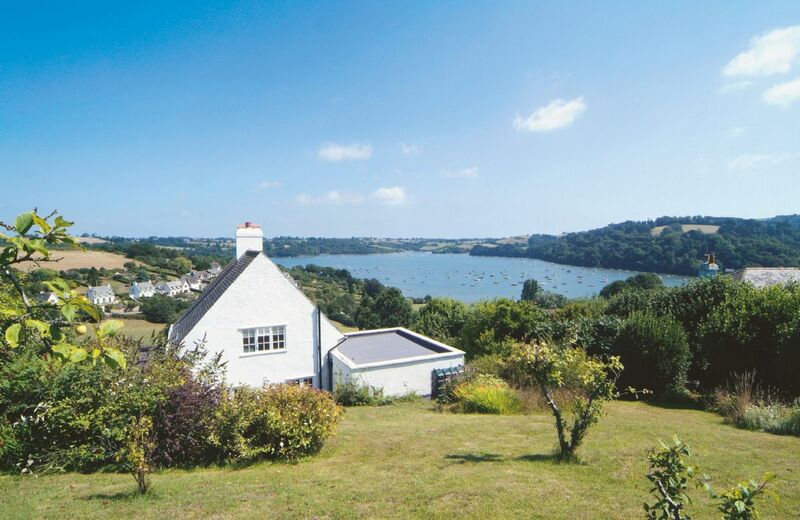 A lovely place with a homely feel situated just above the best beach on the estuary. Great location! Very clean and comfortable. Lovely views. Good position for the beach or the ferry across to Salcombe. Brilliant coastal walks, with the odd stop at Gara Rock for refreshments. Daisy the dog loved her time there too. Another return visit for us, been here twice now, wont be the last. The barn is in a beautiful location and directions to it were good. Comfortable seating and bed and well equipped kitchen. The only reasons I haven’t given it 5/5 are a few little things: some kitchen items were dirty, the grill pan was full of burnt on sticky sauce, utensils had been hung up without being washed - really the fault of previous tenants. Plenty of wood for the wood burner but it wasn’t the most efficient stove to heat such a large area. We could only access WiFi by going into the porch belonging to the owner’s barn. Thank you for your feedback regarding Apple Barn and good comments about the location, the kitchen and the comfort. I am sorry about the small housekeeping issues which I will certainly pass on to the housekeeper. Like at many of our coastal properties WiFi can be an issue at Apple Barn and we hope that the reception will soon be more consistent. Beautiful barn in stunning location. The Barn was exactly as described. We were welcomed with a lovely hamper and the place was spotlessly clean. The kitchen was very well equipped with everything you could possibly need. We had a very comfortable stay with a cosy fire each evening. Perfect for dogs, we brought our cocker spaniel and he had such a good time running down to the beach each day which is only 15 stroll away. Lovely places to visit nearby, we took the boat across to Salcombe and also visited Gara Rock. Stunning scenery all around. Mandy who looks after the Barn was incredibly helpful and accommodating. I forgot my Kindle and Mandy went above and beyond to return it to me which I am incredibly grateful for. We would recommend a stay. We went in November which meant the area was lovely and quiet. lovely place to stay, a little tricky to find in the dark especially if you are not used to narrow lanes! Gara Rock restaurant is amazing and only 5 mins walk away. The beaches and coast are gorgeous. The barn itself is ideal, the stairs to the top floor are steep but ok for children. lovely kitchen and lounge space and comfy bed. Really enjoyable holiday. Great location and didn't need to drive anywhere. Stayed for a few days with our dog and walked along the coastal path in both directions. 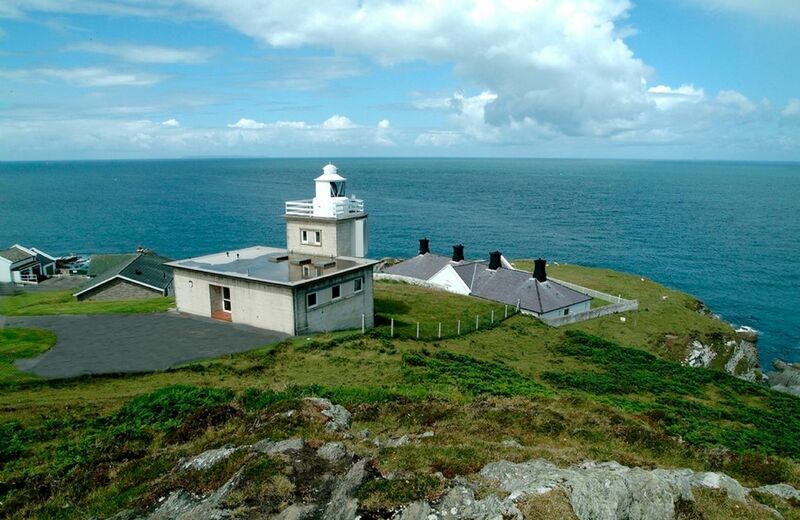 Fantastic coastal scenery and some good places to stop for drinks, cream teas and seafood. Excellent accommodation and nice sitting in the evenings infront of the wood burner. 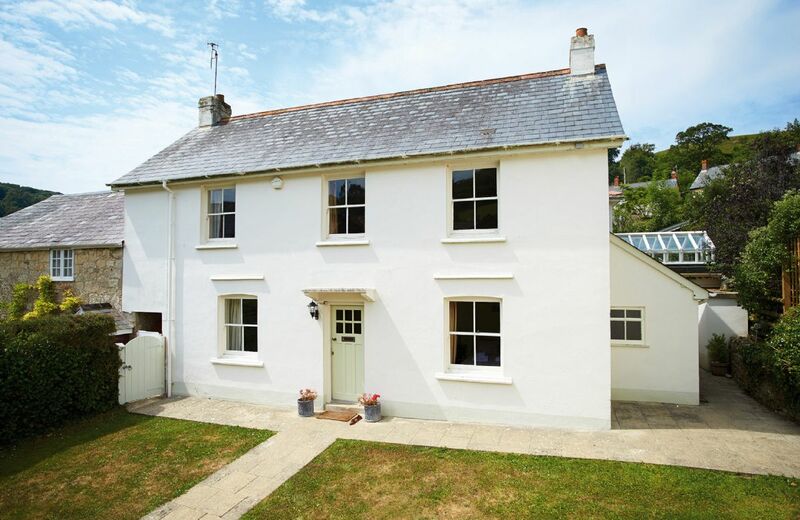 Clean, smart and well-equipped property, with great views towards Salcombe. Great fireplace. Wi-fi arrangements are overly complicated and signal quality is patchy. Access to Bedroom 2 is via a steep ladder. Fun for the kids but unsuitable for the elderly and infirm. Lovely cottage, beautiful setting, amazing sunsets every night. It was incredibly peaceful as you are a long way from anything (towns, shops etc.) but that was perfect for us city fol looking for a break. My only improvement would be to suggest an upgrade for the BBQ, it seems to have had better days and we struggled to get the grill hot enough to cook our food. Other than that, the house was lovely and clean and we were very happy. What a lovely comprehensive review and recommendation. Thank you so much. Home from home. Apple Barn was very comfortable and relaxing. How lovely to feel home from home. We are glad that you found Apple Barn comfortable and relaxing with a well thought out kitchen. Owners were great and location fantastic for long walks and beautiful beaches. 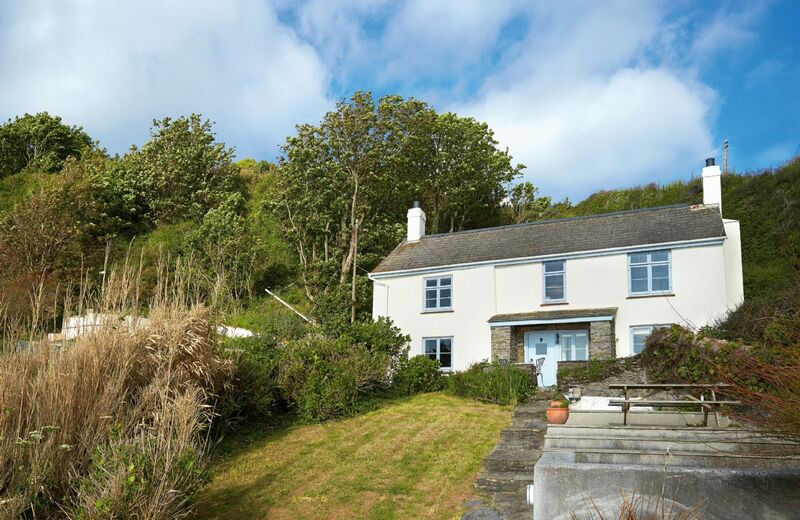 A lovely cottage with lovely views and great coastal walks as well as a lovely 15 minutes walk to the unspoilt nearby beach of Mill Bay from the house. The cottage is nicely furnished and very comfortable. It is a very peaceful place to stay, deep in the countryside, yet with the sea just a walk away and a lovely restaurant with sea views just around the corner. The lovely village of East Portlemouth and the ferry from there to Salcombe are both very accessible. Mandy, the housekeeper was a delight and very helpful. We would recommend this cottage to anyone who wishes peace and quiet and a coastal holiday in an unspoilt place in a comfortable place. What a wonderful recommendation, thank you. 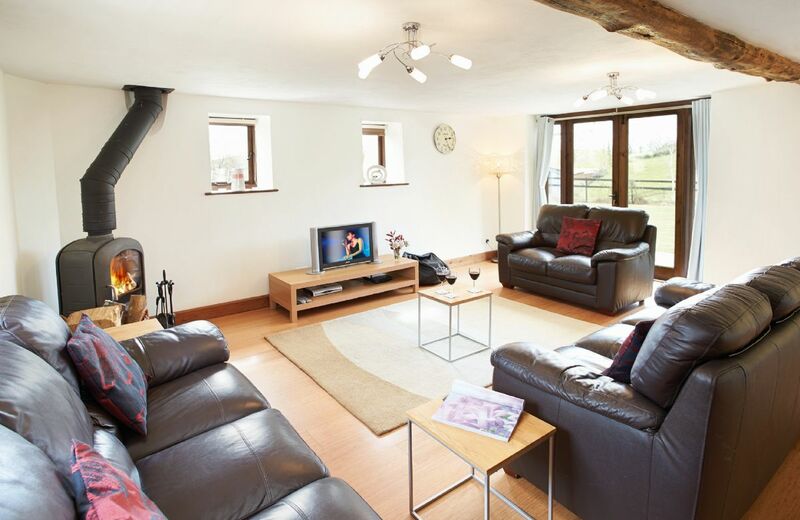 Apple Barn is in an ideal location, with guest support from a great housekeeper. Great cottage, fabulous location, housekeeper very helpful. Found barn looking tired in need of some maintenance tlc last visit 2010 looked as if it hadn't had any upkeep work. Disappointing when paying a lot. Would be good to see an improvement for next visit? We still had a lovely week. Thank you for taking the time to review your stay at Apple Barn. Whilst we are delighted to read of your enjoyment of the cottage, location and praise of the Housekeeper, we were concerned to hear of your observations regarding some maintenance issues. After speaking about this with the owners, we are pleased to report they have carried out various improvements and updates which have addressed every issue you have identified together with some more fundamental updates such as sanding and resealing the wooden floor. Popular properties such as Apple Barn do suffer quite a lot of wear and tear and, whilst the owners are conscious of this and strive to maintain the highest standards, we always appreciate your feedback. We very much hope to welcome you to Apple Barn again soon. Thank you for writing following your holiday at Apple Barn and for calling in to discuss the details of your stay. I have written to you under separate cover and do hope that you will stay with us again in future. The housekeeper prepares Apple Barn with care and the hamper is laid out beautifully. The cottage is comfortable and the location is fantastic with lovely walks from the doorstep. My only problem is there are no sharp knives, this has been previously mentioned in the visitors book. Also, the grill and cooker do not work properly. It took 2hrs to heat up a homemade cottage pie and even then it was only luke warm. I did use the instruction booklet to check I understood the cooker settings.Cheese on toast took an age too. This is my second visit to Apple barn and, if we return, I will be checking to see if the cooker has been replaced. Thank you for taking the time to let us have your feedback on Apple Barn and we were pleased to note you found the property to your liking. The oven was replaced after your stay with a new double oven including grill. Also, sharp knives have been provided. We do hope to welcome you back to Rural Retreats on a future occasion. Thought the modern-look cottage was lovely. Welcome hamper a bit disappointing - no cake and sliced bread. The cottage was fine for 2 people but the wood ladder to gain access to the first floor is dangerous and not suitable in a holiday let, slippery treads and hard floor below will at sometime lead to a serious injury. The owners in the adjoining cottage took one of the 2 parking places allocated to us, left their wet suits laying over our garden wall and in our garden, arrived back from the pub at 12.30 to 01.00am and then went out into the back garden and made a lot of noise. Not the quiet peaceful holiday we had booked and definitely not worth the money we paid. I will not use Rural Retreats again if this their standard in this price range, I used to say you pay for what you get but here. This from the owner - Thank you for your comments. Please be assured, the ladder does comply with building standards and whilst we do appreciate this may not be suitable for all guests, we do make a point of providing a photograph of it and advertising it as follows: “steep wooden 'ladder' staircase to first floor loft with accommodation for 2 extra older children/teenagers using futon beds. This area leads to gallery bedroom”. We have not had any comments about noise or lack of privacy at Apple Barn before so your experience was very unusual, it is a shame you did not contact the housekeeper or Rural Retreats during your stay in order for us to try and rectify any issues, given that you were so unhappy. The owner is understandably most alarmed by your review and has asked us, on this occasion to quote their own response as follows:“Our son and his friends were staying in the adjacent barn for the week of your stay, we are sorry that you were upset by their presence but your comments about them are not accurate. With regard to your comments about the parking, they did not ever use the hard parking space reserved for your property, they used the one next to it which is in fact for our own use and it is on that wall they put their wetsuits. The second space for Rural Retreats guests is on the green reinforced parking area opposite. They did not arrive home after 11 o’clock at night (there is nowhere to go until that time – the last water taxi returns at 10 pm). This is the sixth year our 23 year old son has stayed for a week with friends and he has always adhered to the strict ground rules which we insist on to ensure the privacy and quiet of our Rural Retreats guests. We wouldn’t dream of allowing our own visitors to make a noise late at night and therefore, as usual, we checked with a neighbour at the time who confirmed there was no undue noise – other than what you would expect from a barbecue mid-evening. We have also spoken with other guests staying at the same time as our son in previous years who have said they hardly noticed them. Had we been informed at the time that you were unhappy we would have addressed any concerns immediately but neither we nor the housekeeper were made aware during your stay that there were any issues.”We understand that this week was different from the very peaceful atmosphere you expected and regret that these misunderstandings have tainted your view of Rural Retreats holidays. We hope this will change and to welcome you back again in the future. 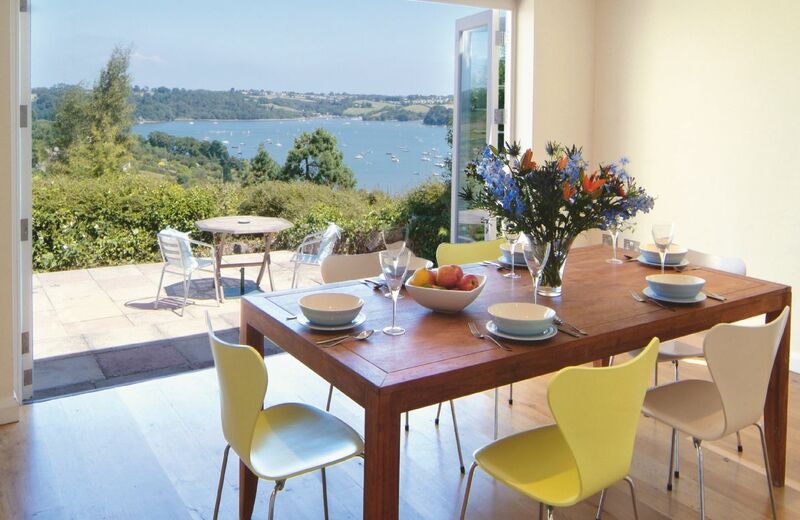 This fine property is situated at the head of a valley leading down to the estuary, with a beautiful view of Salcombe and with several sandy beaches within a 15-minute walk. The location in fantastic for those who love coastal walks, sailing and peace, perfect for families. Lovely cottage in a great location, with lots to do nearby. Feel the cottage inside is beginning to look a little tired eg some of the roman blinds do not work properly. Lovely cottage - my third time there. I'm sure I'll be back. It feels like being in a perfect little bubble and I never want to leave! The cottage and setting were absolutely lovely – a highly recommended place to stay. It was beautiful, full of historic character, clean and tidy. Sleeping under thatch was soothing and blissful (albeit with a few spiders who dropped in). The setting is fantastic if, like us, you have elderly members in your party who enjoy walking but cannot walk too far. Village and parkland were both on the doorstep. More able walkers enjoyed the stroll through water meadows to the sea. I would normally have given a five star rating, but feel the experience was let down by some small housekeeping issues, such as no recycling bins, an absence of soap powder, no spare rubbish bags or spare tea towels, and a leaking sink in the kitchen. I did raise some of these points during the stay, but the issues weren't addressed while we were there. One of our party adds a plea for shaving sockets to be installed in the shower rooms (there are understandably no baths in this jewel-sized property). Hopefully these small housekeeping points will be addressed very soon. They should in no way put you off from booking. But just be aware that the housekeeping is not the best that we have encountered in our many years of visiting Rural Retreats properties. Beautiful thatched cottage and location. Housekeeper Tanya very helpful. Would definitely go back. A fantastic property, so clean and well equipped with everything you could need for a very comfortable stay. The welcome hamper was fantastic - thank you. Excellent location in the beautiful village of Cockington and a very convenient location to explore Torquay and the surrounding areas. Brilliant! Great cottage, lovely village with tea rooms and a pub. Good walk down to the sea and the Torquay seafront. Cottage very well prepared. Another great Rural retreat. The cottage itself is straight from a story book. Evokes childhood memories. However, the housekeeping leaves a lot to be desired - dirty grill, mouldy smell in a particular cupboard, thick cobwebs hanging from beams in main bedroom, dusty surfaces and all carpets need an industrial clean or completely replacing. Also the tiles in the showers need an anti mould spray. Come on this is basic stuff! Beautiful cottage in lovely location. Only slight minus points being lack of wifi (a DVD player would be nice in view of this for entertaining children)and that the children had the 'better' bedroom (which I,m not sure they appreciated as much as we would have done )as the double was in the less fancy one with smaller ensuite. Could do with a food storage cupboard in the kitchen. But none of that spoilt our stay! Lovely building in a quiet location. We stayed in a two bedroom thatched cottage for three nights and it was a super retreat from the noise and hustle of London. The cottage itself was cute beyond words and located within walking distance of a marvellous pub. Great location for exploring south Devon. 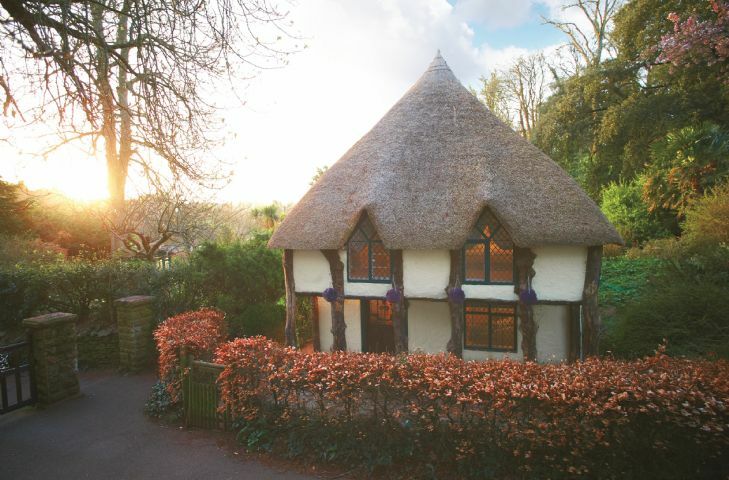 A unique, thatched, cob cottage, the site of which dates back to the early 17th century and which was once the gate house to the historic Cockington Estate. The property benefits from two large en-suite bedrooms and is nestled in the corner of the 460 acre country park. Very clean and comfortable. the welcome pack far superior to anything given on other holiday home venues especially from rival companies. Thank you for your lovely comments about the welcome hamper. Very comfortable stay, spacious barn with comfy beds and great amenities. Also a wonderful welcome hamper of fresh eggs, milk, cheese, cereal etc. Very efficient, straightforward and a pleasure to book with. Lovely, well equipped accommodation, peaceful surroundings wonderful welcome hamper. Excellent service, clean and tidy, well equipped, great welcome and very accommodating. Thank you for the stay and the eggs. Very good accommodation for a family with two dogs. A secure enclosed garden is a blessing as is the hamper provided on arrival by Ted. Beautifully finished and well equipped - had absolutely everything we needed. Very comfortable and warm. We had 2 fairly large dogs with us and there was plenty of room, plus the enclosed garden was perfect to ensure we didn't worry about the dogs if we had left the door open. A fantastic welcome hamper on arrival, full of high quality daily essentials. Our host was also very welcoming. Not too far to drive out to the beaches of Exmouth and Lyme Regis. All in all a great place to stay and we would thoroughly recommend it and indeed look forward to staying there again in the future. What great feedback - thank you so much for taking the time to leave a lovely comprehensive review. Very good value. Exceptional property. Thank you for your feedback. We are delighted that you were pleased with Hunter's Moon. Really peaceful lovely cottage and very welcoming to our dogs who enjoyed their holiday as did we. A proper home from home....really had everything you could possibly need. It was clean/tidy and really well thought through. We hope to return soon! Excellent service provided by the owner, couldn't fault it! First time after many Rural Retreats holidays that we had a house that was not as clean as it should be. Crockery and cutlery was very dirty and needed to be put through dishwasher and saucepans scrubbed before we used anything. Microwave was very dirty and had fried egg hanging from its ceiling. Dog hair on carpets and rugs and balls of what looked like dog hair and dust under furniture and tables and in corners. Wifi router in other cottage and therefore very poor. Hamper good and if cleaner, property would be nice. First time I have ever had a complaint and have been using Rural Retreats for over 20 years. This delightful property has a large open plan kitchen/dining and sitting room with wood burning stove. 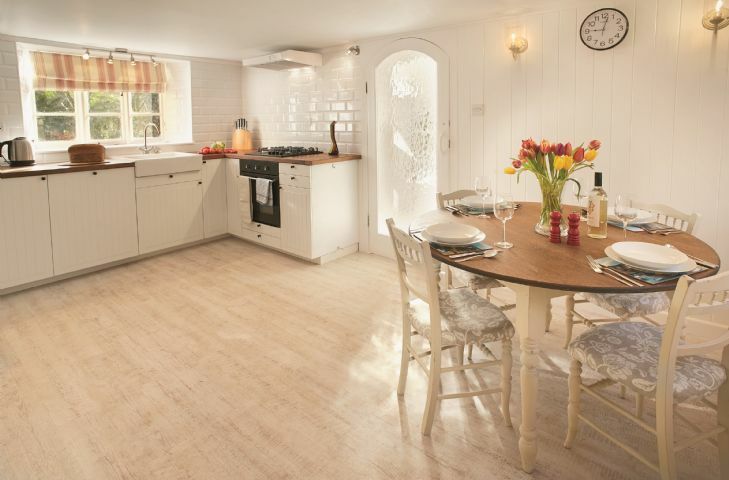 Features include oil-fired underfloor heating on ground floor, wood burning stove and electric double oven. It has a fully enclosed garden. For holidays taken between 2 April 2019 And 30 April 2019 Minimum of 3 nights booking. For holidays taken between 1 May 2019 And 31 May 2019 Minimum of 3 nights booking. Such a beautiful remote location, perfect for a relaxing weekend away to chill out. Triton had everything we needed and very comfortable. A beautifully clean and spacious cottage with views to die for. Very comfortable and the perfect place to get away from it all. Amazing walks right from the gate along the SW Coast path. Very well provisioned kitchen and an amazing welcome hamper. The cottage was clean and warm with a well stocked welcome hamper upon arrival. Great position with sea views and lovely coastal walks on the door step. Minor point was it was very windy on the first night and the wind did howl down the chimney. Maybe a chimney cowl could sort this out. excellent location and accommodation. some places you only dream of and never believe they can actually exist.. Triton is one of these. thanks so much. our next dream is to come back soon. The kitchen wasn't as well equipped as other RR properties we have stayed in. The shower wasn't working when we arrived, but the Housekeeper was quick to arrange for a plumber to replace it. Triton is in a spectacular position on the coast. It is extremely well furnished and equiped. When we arrived it was immaculately clean. A wonderful peaceful break in a perfect location. It is a wonderfully peaceful spot. The perfect getaway. I thought that the cottage was spacious and very well appointed. You do have to have a bitof patience going backwards and forwards through the gates, but it is worth it for the isolation.I did have a problem with th eotaster. I reported it to the housekeeper, was told someone would 'probably' come the next day - but nobody appeared during the whole time I was there. I would probably give the proerty 4.5 stars but I am being generous. A wonderful location with amazing views. the cottage was even better and far more spacious than we expected. We will return! This was our second stay at Triton,since the first the cottage had been very tastefully and professionally refurbished. 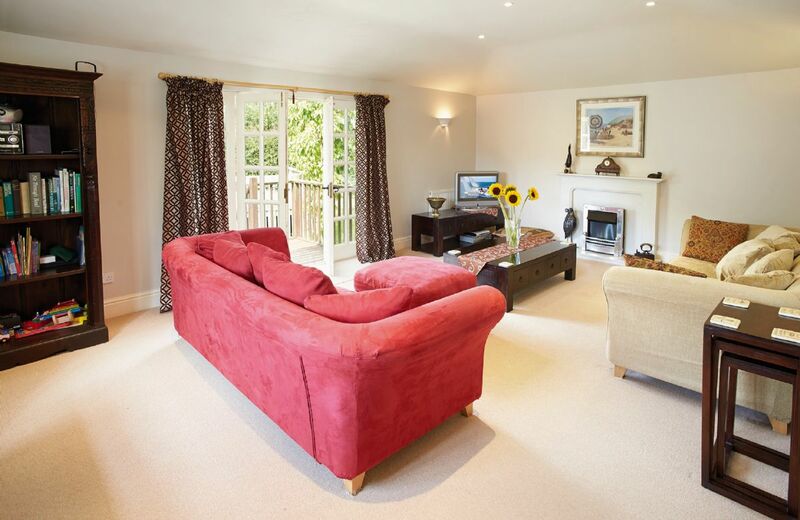 The cottage is large and very comfortable and the furnishings and fittings first class. 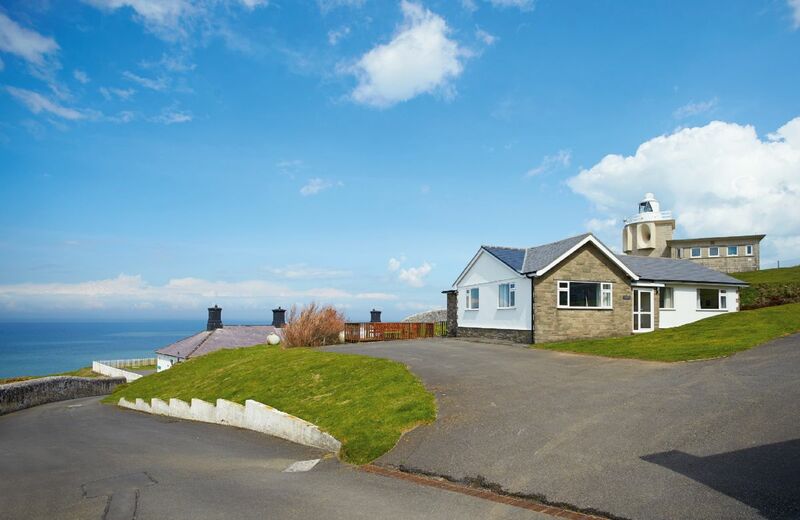 The location is fantastic,away from it all but only a mile from Mortehoe. Booking process was simple and arrival and key handover faultless. Beautiful location, clean and comfortable cottage. Loved the hamper idea, made us feel welcome and all we needed for our first nights stay! Triton is a simply stunning cottage; the photos look great and it is even nicer in reality. The location - fabulous. The photos show the lighthouse location and it is so close to the sea. It is accessed by a long, single track lane and is very remote (although there are 3 other cottages on site). This was a huge positive for us as it was so relaxing and quiet. Triton is in the old lighthouse keeper's accommodation. There are three cottages in the building - Siren, Triton and Warden. However, you'd never know you shared the same building (all of the cottages are self contained and big thick walls means zero noise). When sat in the living room at Triton you can see the sea (which they should make more of in the photos!) and the main bedroom is at the back which you can see Bull Point Lighthouse from. There are very good blackout curtains in the main bedroom which means the lighthouse light never disturbs. Interior - beautiful. Although it's an old building it is so comfortable and fresh. It's very natural and has the nautical theme running throughout. The only small point I would flag - we found the main shower a little inconsistent/parts of the bathroom looked a little tired. The bathroom was by no means bad, but it maybe wasn't quite as high quality as the rest of the house. It didn't affect our enjoyment at all. Nice touches - the hamper was a lovely addition as with any Rural Retreats property. However, I had mentioned when talking to the adviser about how it was my birthday weekend stay. When we turned up at Triton there was a card, chocolates and flowers for my birthday. It was a very sweet touch and meant a lot. The South West coastal path runs along the back of the lighthouse, so it's just a 2 minute walk from Triton until you are on it. We tend to try avoid going back to the same place twice just to get variety.... however, we are already planning a trip back to Triton later this year/next year. Triton is amazing. Lovely accommodation and surroundings. Someone to literally get away from everything for some quality relaxation. We will definitely be back. Location is excellent. Property is to a very good standard. It will be difficult to find somewhere else to match it. This cottage is part of the Bull Point Lighthouse site, just outside the pretty village of Mortehoe in North Devon. The property features entrance hall, dining room leading to small kitchen, sitting room, two single bedrooms and a double bedroom. For holidays taken between 15 March 2019 And 30 April 2019 Minimum of 3 nights booking. Idyllic location and we totally enjoyed the beach being on our doorstep. The sunrise and moonlit seas was gorgeous to watch. The property is a loverly place but it has problems that need sorting out, the access is not good and more info should be given, not suitable for larger vehicles. The photos of the beach are misleading and is not what is actually there, access to the beach means climbing over rocks, not so good for elderly people, the property has some very high steps both inside and outside, no warning signs on the gate or hand rails to help. basic health and safety gets ignored, none of us were disabled nor infirm but still have difficulty including my father falling and injuring himself when he stepped through the gate for the first time and not expecting such a high step down. When i emailed to complain I just got a reply with quotes from the brochure, my second email was ignored completely. The old saying you get what you pay for is not always true!! Thank you for your feedback. We are so sorry you were disappointed with aspects of Downsteps Beach House. We have tried to point out that it is in a fabulous position but as a result is not the property for everyone. We are sorry that there were one or two issues with your stay and are pleased that we have now resolved the matter. I would give this property 5 stars for location, which was magic, and wonderful...and for equipment, for instance beautiful linen and duvet etc...but I would give it 3 stars for being ready for us on arrival. There were a number of inconsistencies - the welcome booklet needs updating. E.g. It said a fire would be laid ready - it wasn't, and we arrived in the cold and wet, (and unfortunately stayed so the whole time). It said the heating was convection, yet the heaters upstairs we were unable to work out how to use. The worst was probably no instructions for the hob oven, inductive. My friend had offered to make breakfast, and he was so upset that he couldn't work out how to turn the hob on! Eventually I rang the number of housekeeper given, but no reply. Then I found the instruction booklet hidden far away, and we were ok. But it wasn't a good start. Apart from these practical things, it is a special place...and would definitely return. The road/approach was not a problem for our car, despite heavy rain. Thank you for reviewing your stay at Downsteps Beach House. I am glad that you thought it was a special place and you want to return again however, I am sorry that the instructions for the hob were not in an obvious place and that the convection heaters upstairs were difficult to work. Regarding the welcome pack, I am currently updating them so they will be all up to date in a couple of months. We look forward to welcoming you back again very soon. 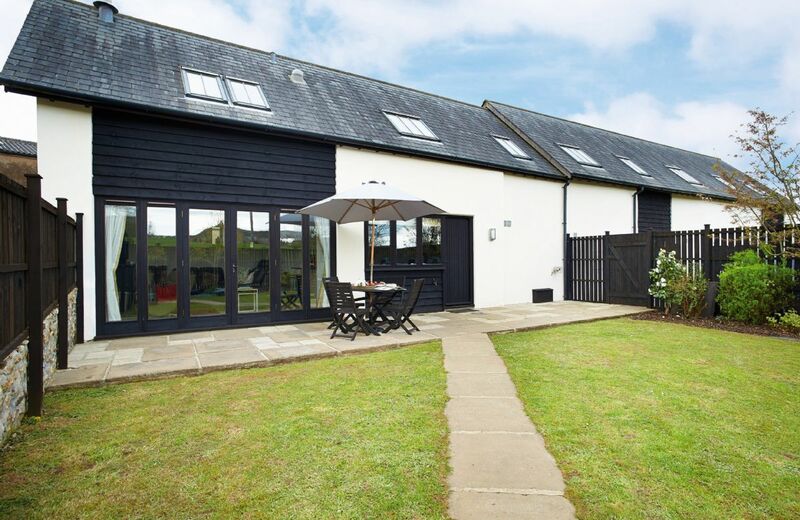 We loved this holiday cottage in a fabulous location, you felt isolated but within easy walking distance of a small shop, café, pub and restaurant. Great walks all around and the sound of the sea all day long. The access to the property is at first a tad awkward due to the fact you have to enter the narrow lane with brick pillars either side. I drive a large 4x4 so it was rather daunting especially after a 6 hour journey and in the pitch black. In the daylight it was easy enough and its actually wider then you at first think. Due to the steep lane as you descend to Downsteps, a rear wheel car in the wet may have trouble. The property is well laid out and equipped, with a decent shower downstairs, no bathroom upstairs, which was our only criticism. The garden is lovely, and to the left is the pathway that leads upto the shop and pub etc, but note this is also the public footpath that walkers regularly use so your privacy is slightly impaired, albeit this did not bother us. Our children loved the beach which is accessible apart from high tide, as did our dog with all the walks available. Overall, a fabulous property and we intend to rebook as we had such a great time. I called about 8 times before I got an answer from the Housekeeper. Welcome pack included ground coffee, but no instant coffee. Caffetier only big enough for 2 people. No large serving dishes or plates. Pyrex dishes in draw chipped with broken glass in draw. Apart from welcome pack, only other items were olive oil, pepper and vinegar. No salt or other cookery basics. Only 6 dishwasher tablets. As it was a small dishwasher and four people staying for a week, this was not enough. Fire kindling only lasted 2 days. Average. Fridge wasn't working properly. No cheese and only some dried up remnants of coffee provided. The road upto the cottage was very steep and slippery when wet - certain makes of cars would not have been able to manage this road. Not enough information was provided concerning this matter. The house was absolutely charming and in a fantastic location. It was well appointed and spotlessly clean. The welcome pack was very generous. My only criticism, the bedrooms of the house were pretty damp. So much so, that the damp got into our clothes. It is a delightful place to stay. we have tried to book for next year but the whole year is blocked out. Only problem was the very steep lane down to the house, very slippy in the car in wet conditions, I have a large car which is not suitable for the lane, I would advise customers to take a small car ot leave the car in the village. This needs to be poined out before booking, if I had known I would not have booked this cottage. There were issues with the property that meant that we curtailed the holiday short of its ful duration. This charming and lovingly restored 200 year old beachside fisherman’s cottage nestles in a secluded cove in Torcross, on the South Devon coast between Dartmouth and Salcombe. 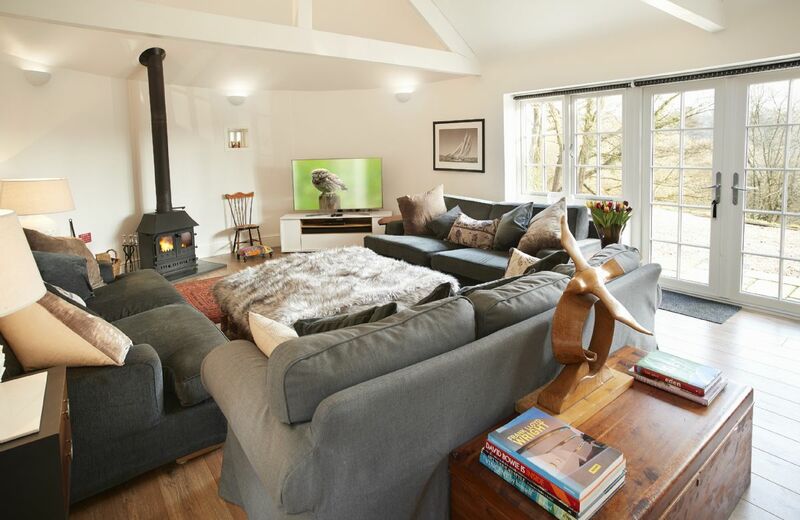 The cottage itself combines a rustic feel with modern comforts. 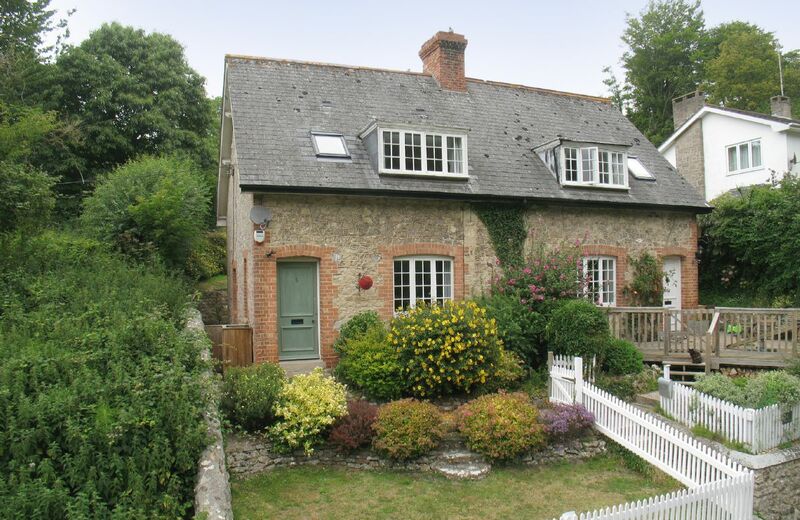 Stunning location, spacious, well designed cottage, wonderful coastal walks from the front door. The house is in a wonderful location but had not been properly cleaned on arrival. Some towels were missing and others were dirty. Some kitchen equipment was missing. I have received an apology and compensation for the deficiencies. 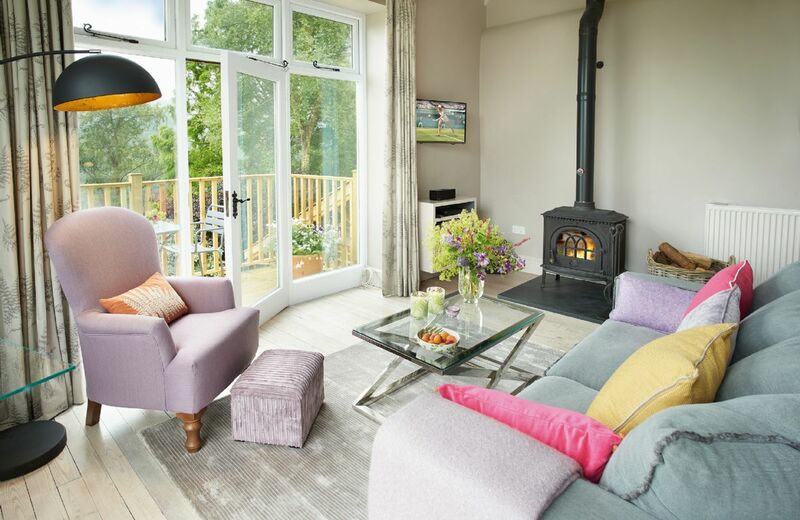 Beautifully comfortable, stylishly designed, well equipped and spacious cottage; spectacular location on the cliff edge - perfect for walks in all directions and faultless communication from Rural Retreats all the way. Would definitely recommend! Lovely house, beautifully decorated and clean, amazing position, views fabulous. The driveway is a bit scary as there are not many passing places to duck into if you meet someone coming the other way. decided to shine on us out came the sun cream! We had the BEST time at Sherrin! The cottage is fabulous in terms of both location and standard of accommodation, lovely and clean with a great welcome hamper. The perfect 'get away from it all' holiday, we felt so relaxed from the moment we arrived and look forward to our next visit. Stunning location enhanced by amazing weather. Outstanding cottage, excellent little touches - toiletries & welcome pack. Generous towels. Especially most helpful & thoughtful housekeeper. Wonderful cottage with the best view ever. Because it was a fantastic location ,cozey and inviting ,clean and a lovely welcome with the hamper would love to stay again. Great location. Clean and tidy. Door handle on loo needs fixing though as did loft lid which was open. Warm air system was noisy in the bedrooms at night. Whilst the cottage was clean the welcome hamper was below those of other places we have stayed. Only one toilet roll, one tea towel , had asked for one bottle of white and one of red, got two reds! Neither the lock on toilet or bathroom worked. Cutlery needed rewashing. We also had to assist a German couple who arrived and then left as their cottage had not been cleaned. Only one bin bag which wasn't helpful as we had to transport the rubbish to the bins at the top. Quiet and mainly isolated. Perfect. A new wardrobe in the double room had a very strong smell of paint - we had to open all windows and doors for 2 days and move a baby out of the room - it was an overwhelming strong smell. We rang housekeeper who was aware of this and had sprayed fabreze - this had not cured the problem. Rang rural retreats and they offered to take wardrobe away on Monday but we decided it best to have windows open. No tins for cooking in the oven and no oven gloves. Richard, lovely chap very helpful as washing machine not working. Great house. This cottage is part of the Bull Point Lighthouse site, just outside the pretty village of Mortehoe in North Devon. 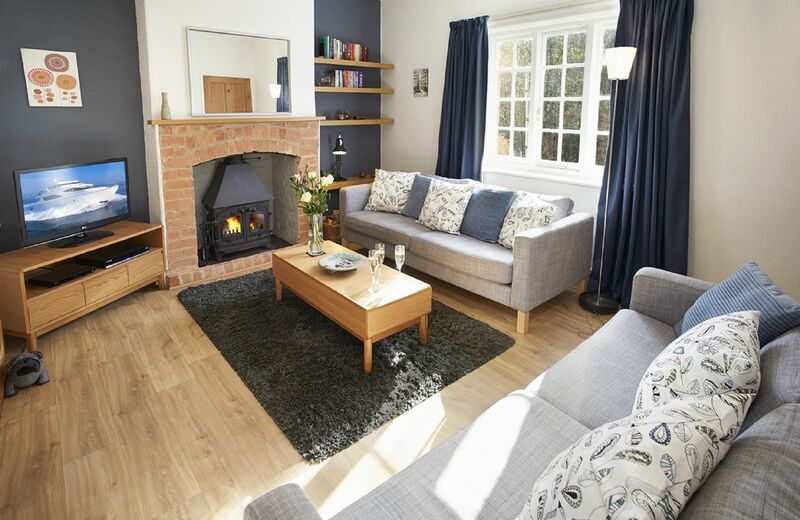 The property features a comfortable sitting room with electric feature fireplace and an open plan kitchen/dining room. For holidays taken between 14 March 2019 And 30 April 2019 Minimum of 3 nights booking. Wonderful place and perfect service! Lovely cottage, nicely decorated with good facilities. Very comfortable. Location was beautiful, we always look for isolated spots for our holidays and this was perfect. Siren was located in a spectacular setting right on the coast with wonderful views. The house was decorated to a very high standard and very well equipped. There were many walls around the property including to the village of Mortehoe where there were pubs, shops and places to eat. We have stayed at many of the lighthouse cottages and needless to say Siren lived up to expectation. Would recommend. Beautiful location, remote yet easy to reach and within hiking distance of the next town. Clean and bright house in superb location. A wonderful house at a picturesque location. Perfectly kept. Kitchen fully eqipped. Spacious rooms. What a lovely concise review of Siren. Thank you so much. Lovely cottage, we had such a great time. FYI: Siren toilet seat wobbly, mould growing on shower head and around shower though. Leaking bath tap. You need to know this - but it didn't stop us having a lovely experience. Triton was great. Thoroughly impressed; especially love the welcome hamper, great touch! 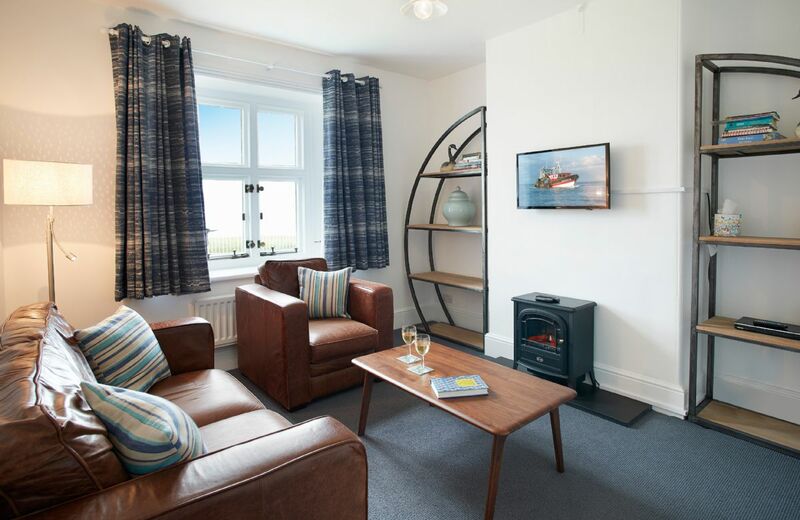 Nicely decorated lighthouse cottage, clean and spacious. Only spoiled by a lack of facilities to transport rubbish to the local council collection point 1 mile up the road. I think the bin was actually missing from our cottage, but otherwise excellent. Great hamper and the property was very clean and wonderfully arranged. An outstanding property with amazing views, very comfortable beds and everything we needed for a wonderful stay on the North Devon coast, I just wish we could have stayed longer! Firstly I don't think that guests should be asked to take their rubbish with them when they leave , it is a long way up the track and there may not be room in their vehicle . The housekeeper should deal with it as well as reasonable amounts of recycling , not really feasible to use the nearest Recycling Centre in Ilfracombe especially if not actually heading that way anyway . Also it is a lovely touch to put wine in the welcome hamper but perhaps when the guest rings the housekeeper before arrival to get the gate codes they could ask if red or white would be preferred ? We got white and don't drink it ! This cottage is part of the Bull Point Lighthouse site, just outside the pretty village of Mortehoe in North Devon. The property features entrance hall, dining room, kitchen, sitting room, bathroom and two double bedrooms. Situated in an elevated position within walking distance of the River Axe and one mile from Axmouth beach, this semi-detached cottage has been refurbished to provide accommodation wih pleasant views of the surrounding countryside. For holidays taken between 12 April 2019 And 25 May 2019 Minimum of 3 nights booking. Lovely house , a very high standard and the housekeeper couldn't have been more helpful and such a nice person. Please thank her again from us. The shower was too stiff and needs easing. The toilet flush needs more attention, I gather it has been repaired before. Beautiful property. Access via steep steps and no private parking. The cottage was just what we needed for our family week with our two children and their husbands and our first grandson of 6 months. The view from the terrace was much appreciated during meals. The housekeeper was very helpful and nothing too much trouble. One small concern was the door knobs which could be difficult to grip being perfectly smooth. A wonderful cottage in a beautiful location. We could not get enough of sitting on the veranda or in the dining room enjoying the view. We agree, it is a stunning view and a lovely cottage. This is the third property I have visited. The other 2 would score excellent but the main problem with this property was the front door and the other doors. They were an absolute nightmare to lock. I was glad my son was with me as I doubt I would have managed on my own. The taps left a bit to be desired, none of them were very sturdy and the sink in the upstairs bathroom, you couldn't get your hands under to wash properly. It truly it a beautiful house but the previous properties had absolutely nothing to comment about. This is a superbly located property with a fabulous view, best we have had with rural retreats. It is spacious, comfortable and has a well stocked kitchen. If there was one suggestion it is not very cosy, with no curtains in the dining room which does not matter in the day but does in the evening. But we loved it overall and would recommend the property. The property was amazing but there were chairs and stools in the bedrooms that were badly stained which was a shame. Comfortable, clean cottage with every amenity. Welcome hamper was much appreciated and breakfast on the terrace with views over the Dart were the perfect start to each day. Wonderful area. Beautiful property & location. Would return. My only feedback is to let you know that the cot is unsafe, the mattress does not fit the cot properly & for babies this can be a danger. The child gate also needs replacing, we needed to take it off as it wasn't fit for use, suggest they buy a newer one. Information included mention of BBQ. After finding it in a store, we discovered it was dirty and broken. In fairness a new one was supplied the next day thanks to Shirlea and her husband. Housekeeping service was OK but we never saw her. A beautiful house in a beautiful part of the country. Shirlea the housekeeper does a great job. The only slight negative is that the house is starting to look a little run down in places, it's still lovely but I wouldn't want to go back in a few years time unless it's tarted up a bit. 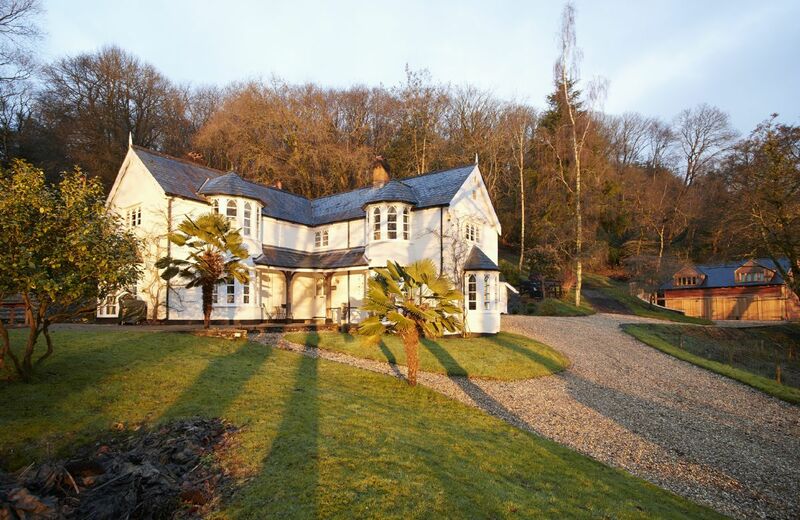 Penveron is a beautiful house in a stunning location. House clean and tidy on our arrival with a super welcome hamper and flowers. Well equipped kitchen with everything you could possibly need. Beautiful location. And very clean. Cannot fault the cottage apart from the bathrooms. Ground floor shower room kept leaking out water from the shower and could have done with a lick of paint to remove the peeling paint. First floor bathroom would benefit from a shower screen as water spiked all around the bath top surround. The housekeeper was very pleasant and helpful. We will book with Rural Retreats again as the quality of them are very good. A lovely property but suffering a little from damp. The downstairs bathroom seriously needs a revamp - it was clean but looked unpleasant. Damp marks on living room ceiling and marks on chairs etc. Beautiful views and house was clean. Wouldn't re book it unless bathroom was sorted. The quality of the cottage was not good for the . The shower on the ground floor needed a deep clean and re-grouting. The hand held shower in the main bathroom could not be reached except by getting in the bath. In an area of renowned food producers the hamper was all M&S - poor. The outdoor barbeque was rusty. The dishwasher needed maintenance. It just didn't have a feel of luxury and was not worth the rental. 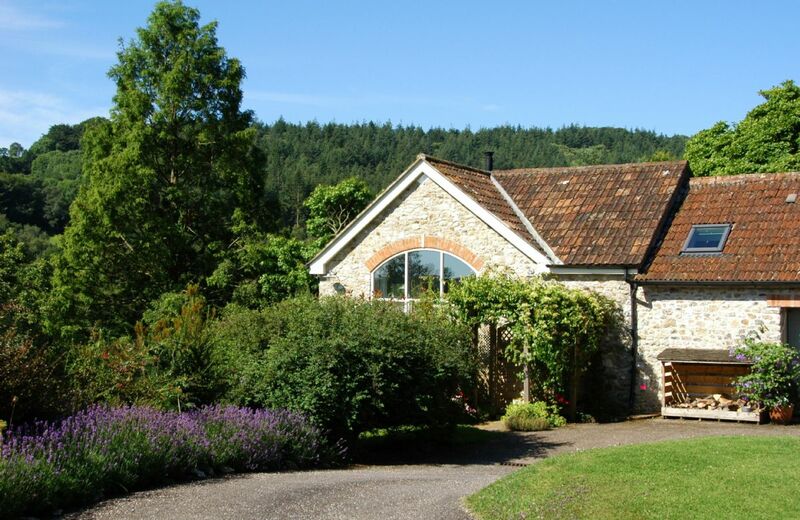 Penveron is a detached, self-catering holiday cottage with stunning views over the Dart Estuary. Arguably one of the most beautiful places in the UK. The house was beautiful, clean and very spacious and the welcome basket of food just perfect after the drive. Location is also great to walk around or drive to sights. The house is in a marvellous location in a pretty village, yards from a charming pub/restaurant, and on the path to Branscombe beach, with its own facilities. The weather and house were cold when we arrived, and the CH thermostats had no effect, but investigation of the store-room revealed a number of electric convector heaters which solved the problem. What a lovely review, thank you so much. All communications prompt, courteous and covering all issues. The house was presented in excellent condition. The housekeeper contacted me when she said she would. We hope to return. Thank you for your feedback and your kind comments about the property and our service. This is a gorgeous house in a gorgeous spot - would definitely go there again! Generally the house was wonderful and the location was perfect. I have scored it as poor because the central heating did not work and there were other minor housekeeping issues that I would not have expected given the price ie light bulbs needing replaced. We did not alert the housekeeper to the heating problem ( not least that no mobile signal so difficult to make a call) as there were electric heaters available. Also these problems have been told to the owners before in the visitor book but have not been resolved. The house was expensive for what it was and not up to the usual Rural Retreats standards. However I would say that the welcome hamper was excellent! The property was clean and tidy on arrival. The house keeper responded quickly to our call about the fire /smoke alarms not working properly. She also addressed the issue of the child's high chair, which was not serviceable on arrival. She replaced this very quickly with a new chair. No hand towels provided for individual toilets - we could have brought extra with us if we knew. Bed linen was very basic, it could do with an upgrade. We enjoyed our family holiday and the location was great. Found the garden was hard work with small children. Wonderful house - four large bedrooms, two large living spaces, lovely garden. Great pub opposite and lovely stroll through fields and woods down to the beach. One of the best places we've ever stayed. Not as good quality as previous cottages booked with Rural retreats. House very disjointed with bedrooms upstairs and downstairs. Triple room one of the beds wasn't made up and no bedding left for us to do it ourselves. No wardrobes in any of the bedrooms for clothes. Overall we were slightly disappointed considering the price of the rental! The location of the house was wonderful and we had a brilliant time and would certainly return. We did however, feel the house was a little 'dated' inside and some of the rooms were in need of some refurbishment/coat of paint. This excellent property is in the heart of Branscombe, approximately half a mile’s level walk to the wide pebble beach and sea. Branscombe is a delightful village and the historic market town of Honiton is just nine miles away. Spacious, well appointed house in a beautiful, peaceful location with a helpful host. Hope to return. Thank you. This is an excellent property which has been finished to an excellent standard. We had a lovely weekend here and the welcome hamper was very nice. Ted was very welcoming. A generous hamper awaited us with a delicious homemade cake! The fresh eggs every day was wonderful. The house was clean and warm. Well equipped and spacious. We had a lovely time. Thanks Ted. An excellent cottage which is both spacious and well furnished. It was always lovely and warm during our stay and the log burner was a joy to use during the evening. You are free to roam around the accompanying fields without fear of upsetting the landowners and the views are great. It is nice to find a cottage that will take more than one dog. Also, Ted's welcome hamper was a treat ! We shall definately be booking again in the future. We are so pleased that you and your dogs enjoyed your stay at Harvest Moon. It truly is a dog friendly property and a lovely cosy place to stay. Thank you for your feedback. We are glad that you liked Harvest Moon and I apologise if you feel that you were 'chased out'. Unfortunately we do ask for a 10am departure so that the housekeeper has the time to prepare the entire house, to our high standard, for the next guest's arrival at 4pm. Also has a great wifi signal. A third visit to the same property certainly is a great recommendation and thank you for taking the trouble to leave feedback. Your lovely words about Harvest Moon are much appreciated. Lovely property which accommodated 8 of us. Everything you need. Very remote. Our sat nav took us down a single track lane on arrival which was a bit hairy and once we had our bearings realised another route in(it was sent in arrival email but we followed sat nav)! The dishwasher needs replacing as the trays kept coming of the runners , it had clearly been like it a while. Very comfy beds and overall very clean and tidy. Thank you for your review of Harvest Moon. We are delighted that you thought it was a lovely property and we will pass on your comments about the dishwasher. Accommodation was clean and very comfortable, a lovely location, the welcome hamper was very nice and an added bonus. Would certainly recommend. Thank you. Very spacious, 4 large bedrooms, 3 bath/shower rooms (fantastic bath). Lovely kitchen, very well equipped with everything you would need. Great views and quiet location. Superb tranquil location. Excellent accommodation. Very helpful and friendly owner. Everything good. The cottage is very spacious and comfortable. Everything is thought of. This fine property has a large kitchen/dining/family room with french doors to terrace and garden. Features include oil-fired underfloor heating on ground floor, wood burning stove in the sitting room and an electric range cooker. It has a fully enclosed garden. A lovely spacious house and grounds for a family get together. Perhaps too much space and hard surfaces for little ones but perfect for the older children. Granny wanted the rule no running in the house but parents didn't agree!Luckily only the odd bump and no split heads . Beaches and garden a big hit and the snug gave the children a cosy place to watch television . Grandparents enjoyed doing the 500 piece puzzle on the card table in the lounge with a glass of wine after the children went to bed. A great family holiday . a family wedding in Axminster. Quality of the bed linen was superb. Thank you for ensuring our weekend was one to remember. Amazing perfect house way more luxury than I expected - and all the amenities, crockery and kitchen utensils you could hope for. It felt like staying in a posh friends house not a rental ;) location also great. My friends were totally impressed. Awesome house, perfect for a long family weekend or week. Lovely big kitchen and rooms, comfy bedrooms down a beautiful isolated lane, very remote. Great garden and stream. We had a fantastic time at Chubbs Farm, Viv the housekeeper was amazing , she provided a beautiful hamper on arrival and could not have been more accommodating . Great place would highly recommend. The weekend was booked for 9 adults, 3 children & 1 dog, to celebrate a birthday. 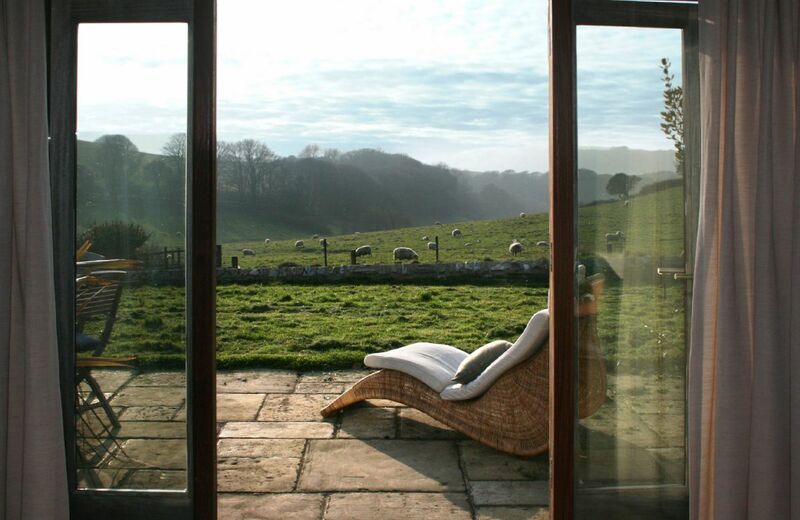 Chubbs Farm is a lovely house in beautiful surroundings, with Axminster and Lyme Regis on your doorstep. The house it's self was warm and cosy, especially with the log fire going. A big kitchen and long dining table to cater for most size parties. Everything was great including the welcome hamper. The house keeper was helpful and friendly. Can't ask for anything more, would love to of stayed longer. Just be careful if you have a low axle car, the long drive way is a bit bumpy. 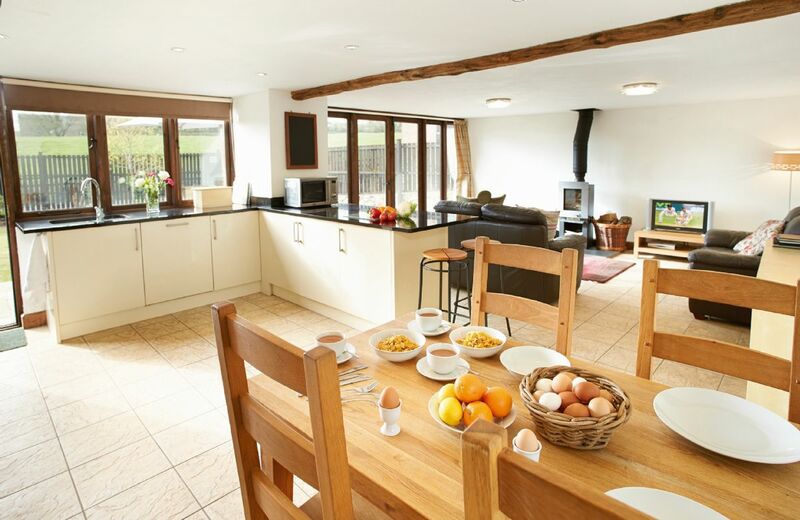 Chubbs Farm is the perfect house for a family holiday. We only had two complaints. One was that there was no water pressure in the hot tap of the bath in the master bedroom so we all had to use the other bath and there were seven of us sleeping on the upper floor. The second was that the double bed in the ground floor bedroom was so squeaky that my son and daughter in law woke up every time they moved. This had already been pointed out by previous guests in t visitors book. Apart from those two points, we loved the house and the huge amount of space in the kitchen and sitting room. Thank you for your feedback for Chubbs Farm. There is no mains water at the property so the water actually comes from a well. It is lovely and soft but this can affect the pressure which is slightly lower than normal. We are sorry about the squeaky bed and the housekeeper is looking into it. the basket of goodies was greatly appreciated. Big house in a lovely quiet location. Track to house requires some care to negotiate, house feels a little unloved, grass needed a cut before our holiday started instead of on the day we left, great hamper though and really clean. Lovely holiday overall but won't be booking again. Not as good as other rural retreats properties we have stayed in. Thank you for taking the trouble to leave a review. We are pleased that you had a lovely holiday but are sorry that you had some issues and we will certainly be investigating these. Fabulous - in a delightful remote area. Picture perfect 'cottage' with all modern amenities and lots of attention to detail. The bedrooms and views were delightful. The welcome basket was amazing! 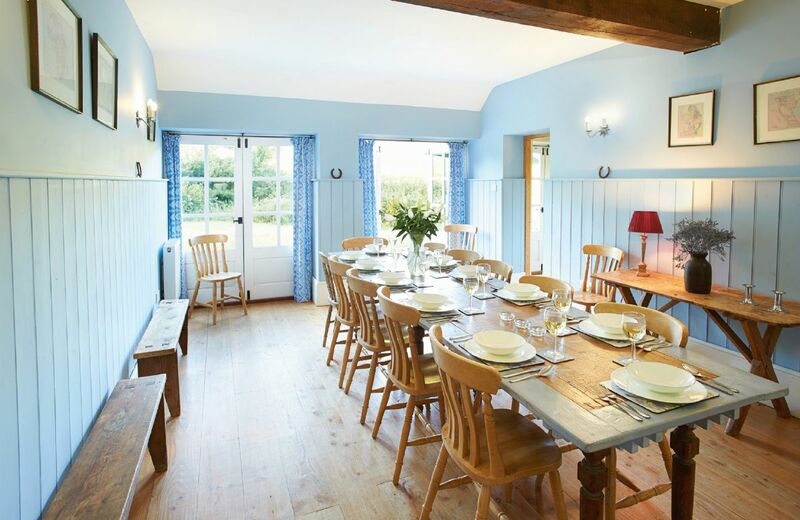 Very warm and comfortable, and huge - so much space - perfect for a 'ladies' weekend with a party of 8 to 10. It was a bit short on cutlery for the number of people, but otherwise excellent. Excellent in every way. Brilliant facilities. Spotlessly clean. Lovely big rooms. Lots of space. Wonderful birthday weekend for the whole family. We all said it was excellent . Thank you. We have told all our friends how good it was . Excellent quality throughout. Chubbs Farm was the perfect location for all our family to join together to celebrate my wife's bithday. Everyone thought it provided a relaxing venue which exceeded our expectations. The layout gave us a wonderful communal and homely atmosphere. We were delighted by the hamper which provided most of the basics from local sources for the entire weekend. We were so pleased with our choice that we took the opportunity to view the Rural Retreats property catalogue with a view to possibly using the venue for a huge Christmas get together in the future. Please pass on our thanks to Valerie Sheen for perparing the property and adding a festive touch. Some of the furniture was a little tired,but that was fine with us as we had several children in the party,so we were able to relax and not worry about the children ruining the place.The house was ideal for us, it was clean and warm and we enjoyed the basket of goodies and the flowers were a nice touch. We expected high speed Internet there clearly this was not the case.The house was beautifully prepared for us we had everything we needed. Appreciated the plentiful supply of crockery/cutlery to avoid running dishwasher too often. This detached, thatched, former farm is set in a very quiet, rural position, two miles from Axminster. Set in 10 acres of land with views across the Axe Valley, the house skillfully combines original features with contemporary design. Stunning location, amazing house and a unique character! Lovely cottage with all the amenities. Beautiful woodlands and great hot tub. The house was absolutely beautiful, spacious, bright and clean. The location was amazing and we were absolutely blown away!